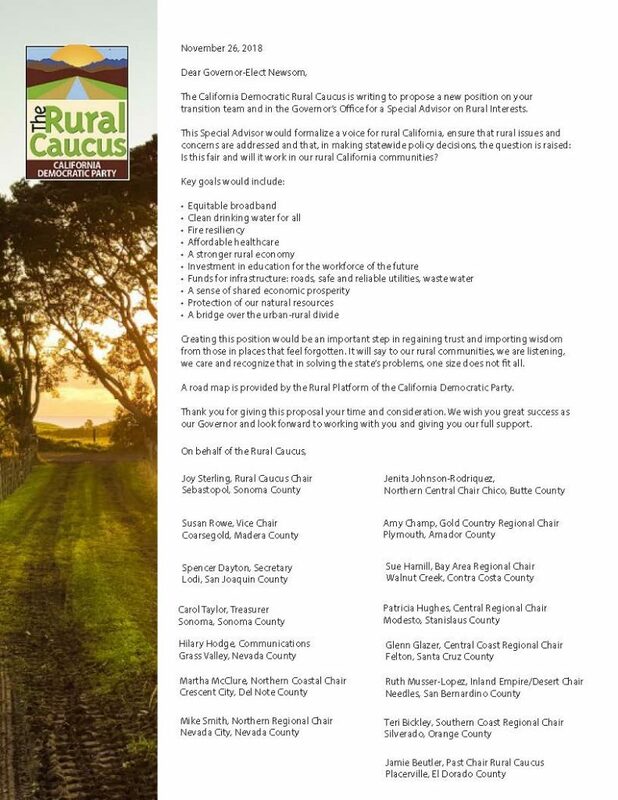 Please join the officers of the Rural Caucus in proposing a Special Advisor on Rural Interests in the Governor’s Office . Copyright © 2019 CDP Rural Caucus. Powered by WordPress. Theme: Accelerate by ThemeGrill.